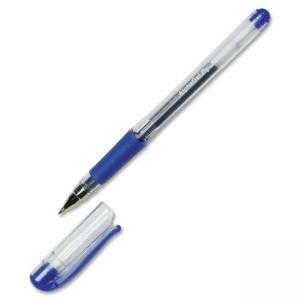 AlphaGel Ink Pen combines the smooth writing of gel ink with the comfort of a rubber grip. Translucent barrel allows you to monitor ink levels. Gel ink is water-based, acid-free and archival-safe for preserving documents over long periods of time. Locking cap with cushioned pad prevents dry-out and protects the metal tip.